Inductor also named as Line Choke is a unit used with a VFD [Variable Frequency Drive]. Inductor at input of AC Drive is used as a Line Voltage Buffer to Protect the Drive from Line Transient, Unwanted Fluctuation & Spikes. A Inductor on the output side of inverter can reduce rapid voltage rise ratio and hence protect the motor. A motor choke is required to reduce unacceptably high voltage peaks caused by cable voltage reflections. 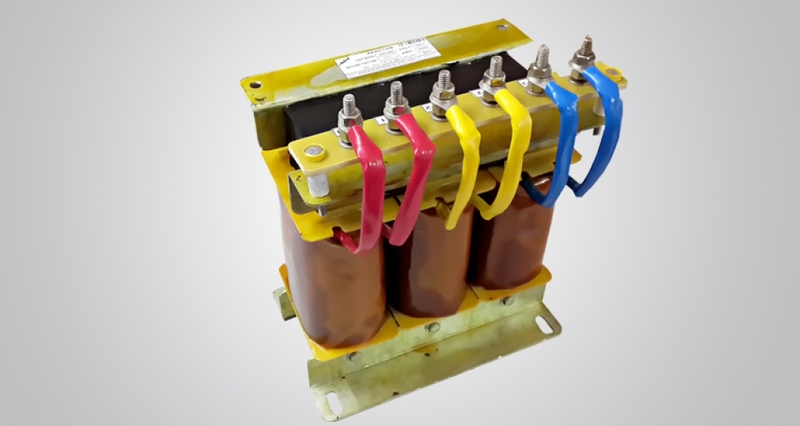 “ASHOK” MAKE 7% DROP Detuned reactors are specific three phase inductors dedicated to attenuating the amplification of harmonics on highly polluted networks and to protecting the different components of the installation. They form a complete product range from 6 to 100 kvar and are available in the most common tunings like 135, 190 and 215 Hz for network voltage of 400/415V 50Hz. They must be chosen according to the capacitors they are associated with. We give a wide range of Inductor and reactors. It is easy to install and free from all magnetic loses. Our product has the ability to withstand short circuits and extreme weather conditions. It is widely accepted across various industrial sectors and immensely popular for its application.